WELCOME TO THE TRAINING RUN PAGE. OUR PACER GROUP AS WELL AS OUR AMBASSADOR GROUP ARE HERE TO ASSIST YOU. 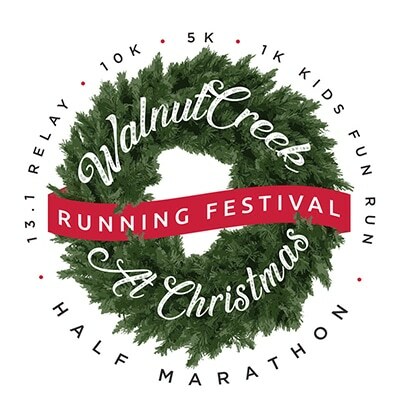 Welcome to the Walnut Creek Running Festival! Register Now by clicking here or the wreath! We have distances for the entire family: Half Marathon, 13.1 Relay, 10K, 5K, or the Kids 1K Fun Run, new in 2019! Race Day is on December 14, 2019!! ©2019 Copyright - Team Blue Sky Events, Inc.